Place slices of bread on cutting board. Add mayonnaise to each one. Add 1/4 of the avocado to each slice and top with 1-2 slices of tomato. Cover with another slice of bread, spread mayonnaise over it and add 1 slice of cheese and 1 of ham. Top with the last slice of bread. Press all the slices down and cut into triangles or rectangles. If you’re not going to serve them right away or if you have leftovers, place sandwiches in plastic bags and refrigerate. 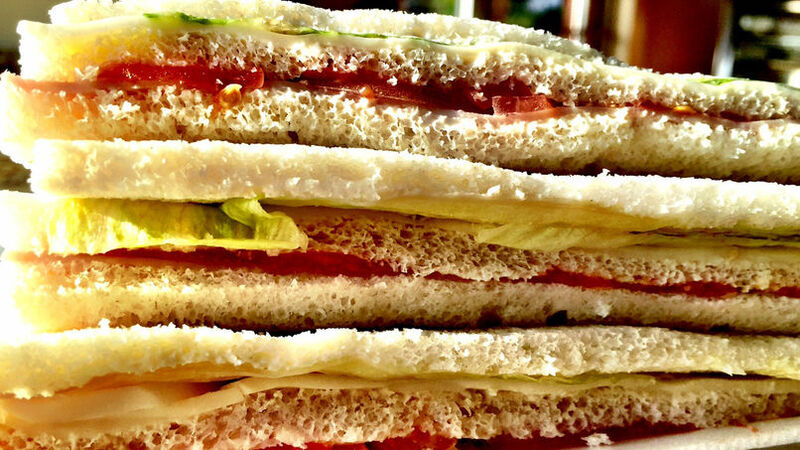 Miga sandwiches are a traditional Argentinian dish. There was a point in my life where these sandwiches used to be one of my weaknesses. They are so light and fresh that you can easily eat one too many. There are many options for the filling, which is another reason why you want to taste them all. They are perfect for picnics, the office, parties, or for a casual dinner with pizza, empanadas and sandwiches. I’ll show you the secret to making them so they can be a hit. Try them!